In early February, we reported on how 2,000 Hungarian books were thrown out by the Foyer Hongrois retirement home and we shared an image showing a garbage container full of books. We can now report on a more positive development: earlier this month 60 boxes containing some 2,500 Hungarian-language books remaining at the Foyer were packed up and prepared for transportation to Hungary, thanks to the help of Éva Dányi, head of the National Széchényi Library’s acquisitions department, as well as to librarian Angyal Bedross and Csilla Nemes, a scholarship recipient with the Kőrösi Csoma Sándor Program. 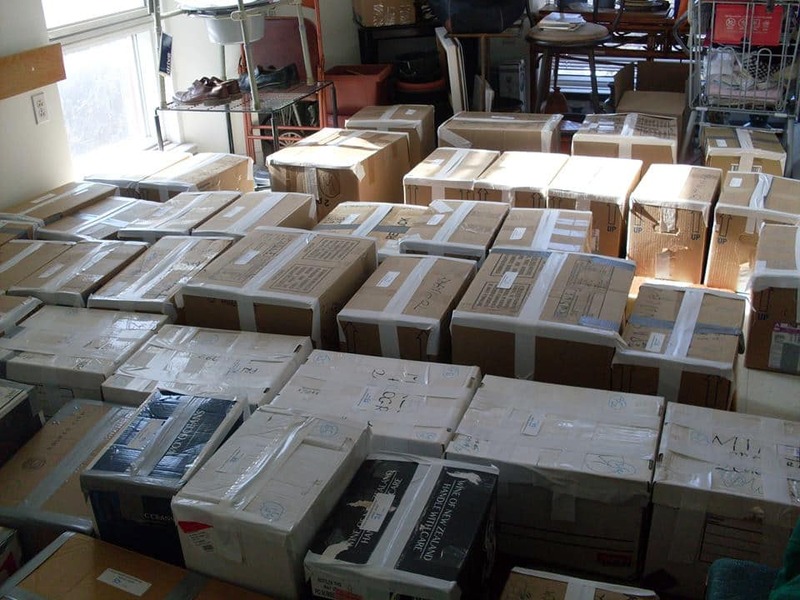 The news of this effort to save Hungarian books in Montreal and a photograph showing them boxed up for transportation to Hungary was shared by Enikő Nagy, a volunteer with a cultural association called Csillagösvény Egyesület, which is affiliated with the Hungarian United Church of Montreal. Hungarian books in Montreal ready for transport to Hungary. The original story in our sister publication, the Kanadai Magyar Hírlap, was shared and liked over 3,000 times on Facebook. News of what happened in Montreal spread far and wide, and quickly, and was picked up from us by other publications and media platforms. Media has a role to play in shining light on stories that would otherwise be buried or only known in small local circles, particularly when doing so might lead to more positive outcomes in the future. It’s possible that the National Széchényi Library already had plans in place to save the remaining books at the Foyer Hongrois some six weeks after we broke this story in English and Hungarian. But I should note that at the time, and in the days when the Foyer Hongrois faced significant criticism for what happened, nobody on the Board mentioned anything about the existence of such plans to save these books. As such, it’s certainly quite possible that the National Széchényi Library and others in Hungary acted after the media reports and outcry. Either way, this is a welcome outcome. Keep these Hungarian books in Canada would have been ideal, but preserving them in Hungary is still a far better outcome than seeing them driven away in a garbage container on the icy streets of Montreal. Keep on truckin’ bookworms !!! Upon talking with many of our Hungarian community leaders and with many concerned people, two main questions surface : -1- why was the library unilaterally destroyed without proper consultation of the community? -2- more important …. why is NOW the library space unilaterally declared no-more accessible as a community cultural space for Hungarians ?? …. In our opinion the 1980 acquired cultural ethnic rights of the community from the respective governments and from the Ville de Montreal should be maintained and enforced, and consequently the library should be re-opened, because hundreds of elderly Hungarian are waiting to donate their own libraries to be part of the Heritage. Now, these are interesting questions. This is an excellent start. But there are even more important question to ask. 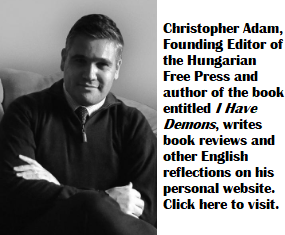 Why are virtually all of the organized Hungarian communities outside of Hungary led by people who are intolerant of views that are contrary to those peddled by the affinity-fraud artists who are taking Hungary once more down the garden path? Why are people banished from the Canadian Hungarian Community if they happen to disagree with those who are the errand boys or girls of the Orbán regime? Why can there be no public debate in Canada between those who want to make Canada’s Hungarian communities open, tolerant, discursive, pluralistic and as vibrant as the Italian, German, Brazilian, British, and those, who want Canadian Hungarians to be nothing more than bootlickers of a regime, a political party, and an ambassador (Bálint Ódor, piano-man) who want nothing more than to return Hungary to the Horthy era? Maybe if we got some answers to these questions, Dr Horváth, the pews in the Canadian Hungarian churches would be filled by more youngsters, maybe books would not be thrown in the garbage, maybe second and third generation Canadian Hungarians would not be fleeing their local communities the way Houdini fled Detroit. Dr. Horváth ! The time to hesitate is through. No time to wallow in the mire. Could someone finish the song please?